We believe that long-term, sustainable projects are the best way forward. 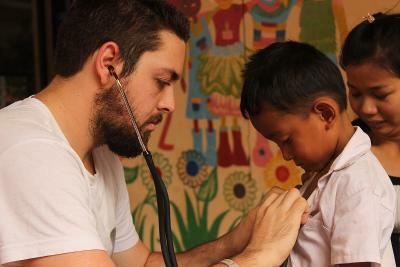 As such, Projects Abroad creates detailed management plans for our Care, Conservation, Teaching and Medical placements. These are long-term development plans that ensure each programme has a clear purpose. In these, we set out specific goals that we wish to achieve in a particular destination, provide structure to the volunteers’ work and monitor our progress over time. Projects Abroad have also implemented an innovative Care database, which allows volunteers to determine their contribution using specialised checklists. These lists are designed to assess children’s levels of English, numeracy and overall development according to the rate at which their age group should reach crucial developmental milestones. In this way, we monitor children’s development in real-time so staff and future volunteers can quickly target specific areas of need. We employ wonderful local staff in all our destinations, who come from a range of backgrounds, and bring a wealth of experience and skills to the table. Some of our employees include conservationists, social workers, teachers, lawyers, and experienced NGO employees, among others. They have extensive local knowledge, and their input is invaluable in ensuring that our projects truly benefit the community in the long-term. Through the work of our local staff members, we are continuously establishing new, much-needed initiatives in disadvantaged areas, such as our clean water project in Madagascar, as well as making improvements to our current projects. Because we employ local staff, our programmes run all year round, whether or not there are volunteers available. 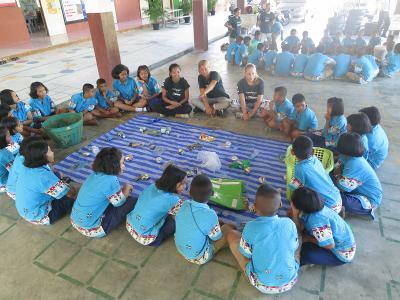 At Projects Abroad, we prides ourselves on the fact that we provide an enormous amount of support to hundreds of projects across the globe, with the help of our dedicated volunteers. Many of these programmes are entirely funded and run by us. As a volunteer, you want to take part in something that will make a real, tangible difference to someone’s life. We work hard to ensure that our initiatives make a meaningful contribution to the community in which they are based, and are constantly striving to improve the overall volunteer experience.